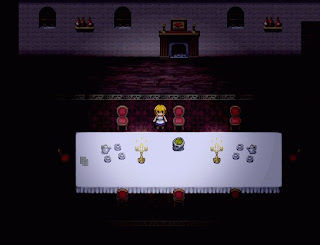 The Witch's House (Majo no Ie in the original) is a freeware horror adventure game created by Fummy using the RPG Maker VX engine. The perspective is similar to Ib and so is the gameplay. You play as Viola, a young girl that visits a strange house in the woods. This house conceals a lot of dark secrets and terrible dangers, making Viola wish she never had stepped inside. Now she has to find a way out, but this isn’t a normal house – things change frequently, death lurks around and there are many frights to be had. The Witch's House is amazingly clever, seldom resorting to simple jump scares and instead focusing on the great atmosphere, impressive sound effects and detailed 2D graphics to create a compelling, unnerving game. Best of all, there are some snippets of story spread across the house and even those can instill a sense of dread in the player. This is one of the best examples of the horror genre and further proof that games don’t have to be 3D and very detailed to create an impressive mood and sense of dread.